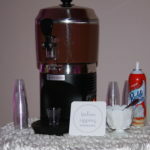 Home / Sweet Stuff / Houston Chocolate Fountains | Chocolate Shots have arrived! 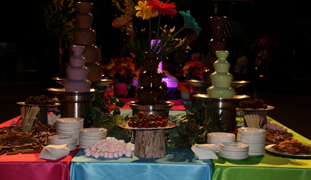 About a year ago, Chocolate Encore was contracted to do a Bat Mitzvah and the client wanted chocolate shots for the party. How fantastic is was to see the machine in action and we had to be the first in Texas to launch this sweet idea! The chocolate used in this rich, decandent treat is Italian Chocolate. For the youth focused event we jazzed it up with self serve sprinkles, fresh whipping cream, peppermint sticks and marachino cherries. For the over 21 crowd events we have done, we also offer demi-tassi cups, fresh orange liqour whipping cream and our clients bring ameretto or rum to put a touch of sinful into this rich tasty treat. Our attendant takes care of everything from the set up to tear down and the individual servings are really affordable. 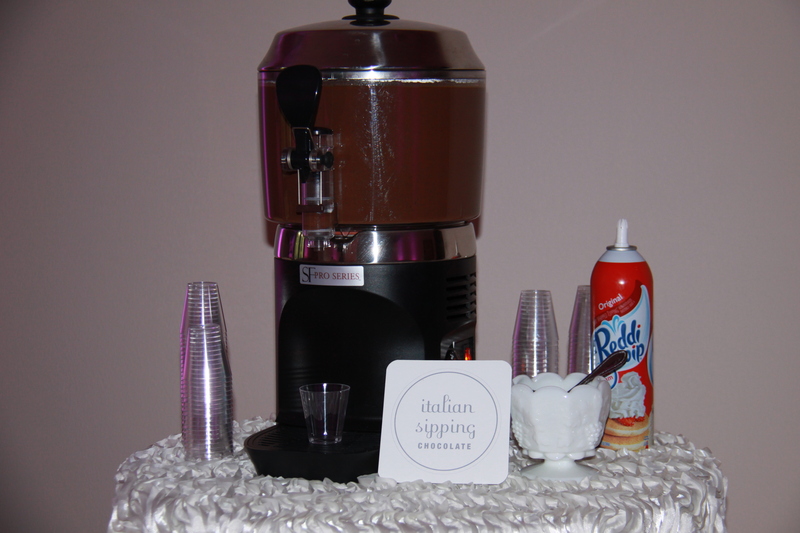 If you want the newest sweetest treat at your next event, the Chocoalte Sipping Machine will need to be front and center….perfect with the s’mores buffet too!